I purchase the majority of my plants on a whim. Hands up, it’s one of my greatest weaknesses, not to mention greatest expenses. I am a self-confessed, unashamed plantaholic, but I am not alone. Admit it, you’ve been there, confronted by a plant you have no place for and you just have to have it. It’s an addiction, but it’s okay; there are so many worse obsessions than wanting to possess, study and marvel at the beauty of foliage and flowers. In addition, I am not a great one for planning ahead, despite encouraging other gardeners to do so. I tend to see what plants I’ve got, and then work out how to make the best of them. This approach will probably make more conservative gardeners feel queasy, but each to his (or her) own. It works very well for me. I’m often asked where I get my plants from, and my unhelpful answer is ‘everywhere’. There’s scarcely a situation in which I am not capable of finding a plant to buy. Back in May, on holiday with a group of friends, I found myself at Longstock Park in Hampshire at the time of their annual plant fair. This wasn’t entirely an accident – sometimes I do get as far as planning my spontaneous purchasing – but it was a steaming hot day and I wasn’t really in the mood for plant shopping. I had been on the look out for a new passion flower for some time, having become a little tired of the common-or-garden P. caerulea growing by my front gate and having tragically killed off P. ‘Victoria’ last winter. Unexpectedly I spotted a white hybrid called ‘Snow Queen’ and was immediately sold. 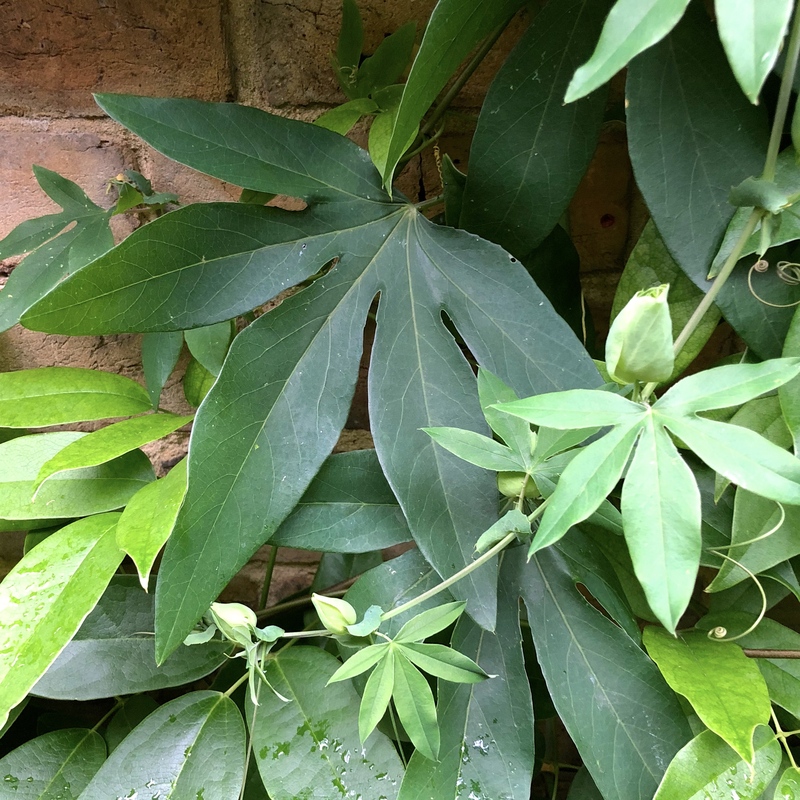 The plant looked healthy and vigorous, and at 2ft already had 5 or 6 flower buds. Back at home in Broadstairs I planted ‘Snow Queen’ in a tall pot and left her to mingle with a resurgent Holboellia latifolia. Anyone familiar with Holboellia latifolia might question whether any climber, other than Russian vine (Fallopia baldschuanica), could be a match for such a vigorous beast, but in ‘Snow Queen’ it has met its match. Passiflora ‘Snow Queen’ is a most welcome introduction from passion flower enthusiast Myles Irvine, a gym owner from Surbiton. It is named in honour of his friend Natalia Walaszek. In 2007 Myles crossed hardy P. caerulea with tender P. ‘White Wedding’ and the result, four years later, was ‘Snow Queen’, selected for the purity and longevity of its white flowers and the hardiness and vigour of the vine itself. And when I say vigour, I mean vigour. In the four months since I planted it, ‘Snow Queen’ has grown 15ft from the base and is producing ten or more flowers every day, each lasting 48 hours. At first the self-clinging stems produced only leaves, some larger than my hand, but in early August flowering resumed and looks set to continue through autumn. The amount of growth is staggering when you consider the pot my plant is growing in measures only 12″ in diameter. 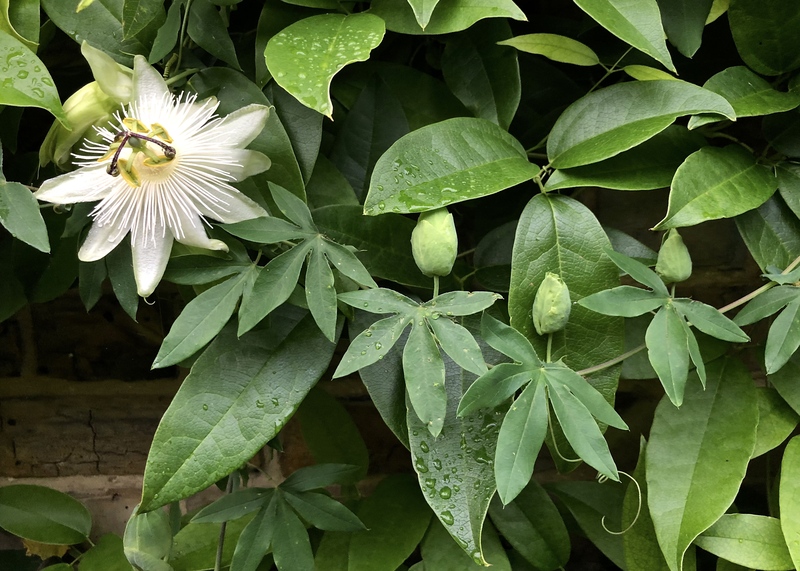 White flowers are always popular with gardeners and this passion flower has blooms of the purest white with just a hint of crisp, Granny Smith green. The outer petals, knowns as sepals, have curious green hooks (awls) at their tips. Three imposing stigmas are spotted with a rich, figgy purple. As a flower it’s damn close to perfection and the bees love it too. The leaves are both enormous and attractive, perfect for covering unsightly walls. Passiflora ‘Snow Queen’ thrives in full sun or light shade and enjoys good drainage. It will grow very happily in a pot, on a balcony or on the patio. The vine is both hardy and evergreen, capable of flowering all year round in sheltered conditions. Plants are available from Cross Common Nursery in my native Cornwall. Don’t think twice about buying one. This is a climber everyone should find space for. TFG. You have nothing to apologise for ! Your blog is perfect timing for ..I was just researching a white passionflower. Will look out for this one.. it looks really healthy. Longstock is a lovely garden and I believe you may have been holidaying there with a common friend (a JL colleague of yours) . We hope to drive down to your next NGS opening . Very possibly! There was quite a big group of us and we are going again next year as we had such a good time. 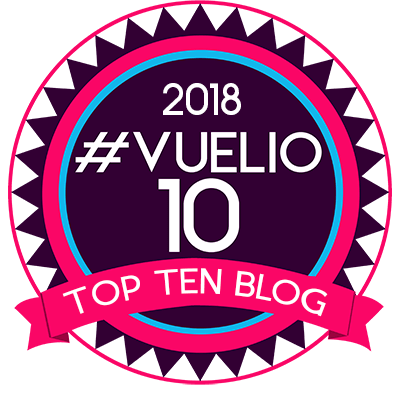 Please do come in 2019 ….. although I’m trying not to think about it quite yet. That is stunning! 15 feet growing in a 12″ pot. Looks gorgeous. I know. I’m not sure where it gets it’s energy from Anna. I am feeding regularly as I don’t have anywhere it could grow in the ground. I’ll put it in a bigger pot for next season. Thank you Leslee. This was definitely a winning whim!! That white Passion flower looks gorgeous. Thanks for showing it. Love seeing your individual plant postings! Thanks Liz. There will be more of these now I have a little more time on my hands, although I have lots of longer posts in development too. Too many ideas, not enough time!! I know very few gardeners that can resist a “new” plant. It doesn’t have to be a new cultivar just something they have never seen let alone wanted or really needed. That is part of the fun of gardening, happening on a plant that calls to you. This is one gorgeous passionflower. I’d be tempted too. What a beauty. And I have plenty of bare fence to cover. Does this die down in the winter then? No, it’s evergreen! An additional bonus. Hi Dan. 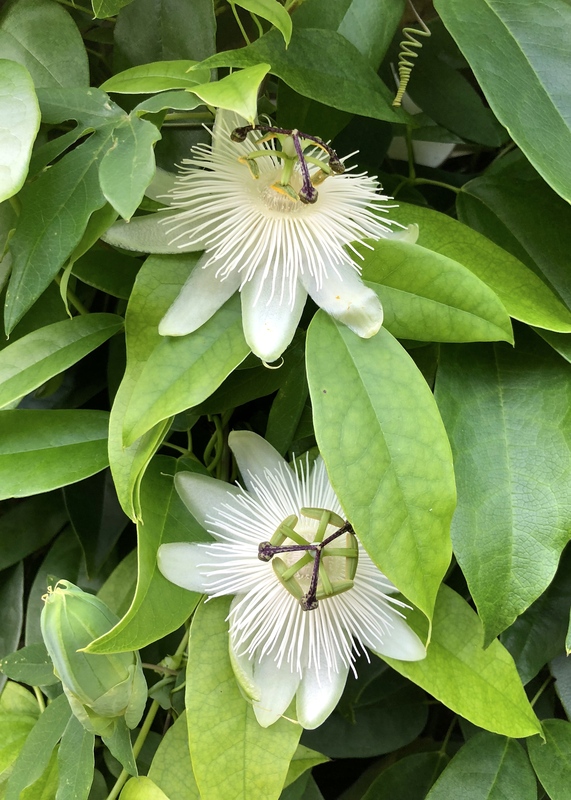 Many thanks for your kind Plant Profile of my beautiful Passiflora ‘Snow Queen’. I feel honoured. I am extremely proud of her. I have linked to you from the Riverside Passiflora hybrids News section at https://www.riversidepassiflora.com. The cheque is most definitely in the post! I’ve been thinking about the question of where to purchase plants. My preference is a large, family-owned nursery out in the country, Cowiche Creek Nursery, because of the high quality of both perennials and annuals. Their hanging baskets rival those in Victoria, B.C. Besides, these people are educated and trained in horticulture. I can trust them. Otherwise, I shop at Fred Meyer’s, Costco, or Home Depot for petunias and other annuals, as well as for basics such as potting soil and fertilizers. My ferns and ivy I get from Cowiche, however. Well, that beauty has been sold to me, as well! Paragraph 1 sums me up, too. You should have seen Rusty Duck and moi at the Rosemoor Plant Fair this morning. We needed two trips to the plant creche to off-load our purchases before a welcome cup of coffee and some further purchases from the Rosemoor plant centre. Mr TT wisely stayed at home but was kind enough to help me unload the car. Tomorrow Rusty Duck and I are off to Little Ash garden near Honiton, oh dear. I think some more planting ideas and probably a plant or two will be coming home with us. One cannot beat a love of plants. Okay, I know I really dislike passion fruit fines . . . but I really like white. I have never seen this one before. The only white flowered variety I have seen is rather sickly white and scrawny. This one looks really rad. I would certainly prefer it to the weedy one here (although I would always keep at least ‘one’ of the weedy ones around because I grew up with them). Well, let’s just say it looks great in your garden. That should have said the ‘Rosemoor Flower Show’, I was tired last night. Am I right in thinking there’s a plant fair at Rosemoor on Sept 23rd? 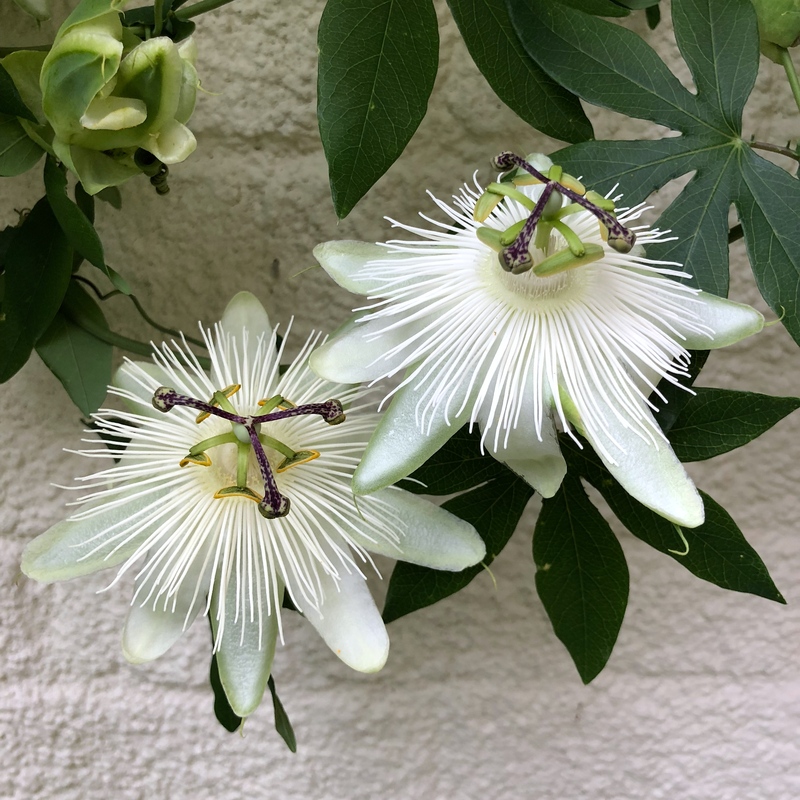 Thanks for another great post and such a beautiful passiflora – it’s on my list as well now! Yes, there is a plant fair at Rosemoor on 23rd September. Rusty Duck has made sure I had a note in my diary. The pair of us managed some more plant purchases at Little Ash this afternoon. Now we need a bit of time to do some planting. 23rd September will work out just fine. There is a chance I may be able to join you. Just working on logistics …..
That would be brilliant Dan, would be great to meet you! How brilliant!! Do you need B&B? I may do! I’ll drop you a line when I know my plans …..